Fortnite: Battle Royale is free to download on PC/Mac, Xbox, Playstation, Nintendo Switch and iOS devices (Apple phones and tablets). It’s coming to Android soon. It has about 45 million monthly users worldwide including the England football team, who reportedly played it in their World Cup downtime. What safety options are available to parents? Use the parental controls on the gaming device. Most devices allow you to set time limits on game play, set age limits for content, and restrict in-app purchases. The battles in Fortnite last around 20 minutes. When trying to limit your child’s screen time, make the most of this natural stopping point. Set a limit in terms of matches rather than hours and minutes, or set time limits in 20 minute increments. Speak to your child to make sure they know this feature exists, and encourage them to use the options below if they encounter someone who is offensive or inappropriate. You or your child can report players who make them uncomfortable using the in-game feedback tool (located in the main menu). You can also use the ‘support’ section of the Epic Games site (the makers of Fortnite). You’re asked to select the platform you play the game on, the game mode you’re playing, and then you can select ‘report player’. You can provide more detail such as the player’s name, and attach a screenshot. Non-profit organisation Internet Matters has put together 5 top tips to manage children’s screen time. 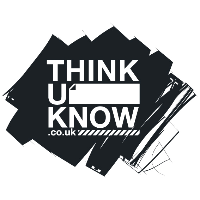 ​The “Thinkuknow” website is brought to you by the Child Exploitation and Online Protection (CEOP) centre. ​Kidsmart gives you lots of advice on how to stay safe online.